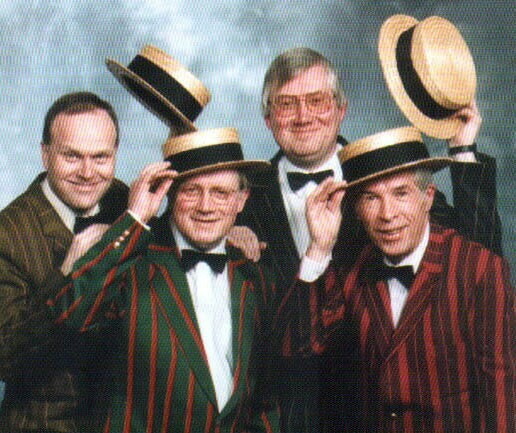 Close harmony barbershop quartet performing cabaret, concerts, radio & TV broadcasts, promotional marketing and corporate events. 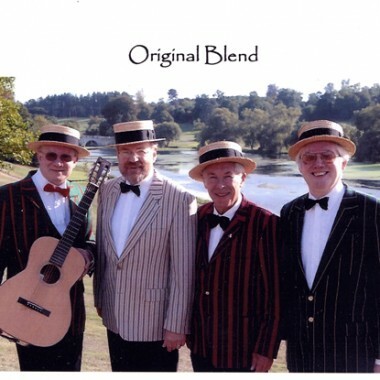 A typical Original Blend presentation can cover jazz standards, show songs, close harmony, barbershop and novelty songs. The group has appeared in theatres, castles, country houses, department stores, shopping centres, museums, music festivals, restaurants, private houses and at wedding receptions, livery companies, outdoor events, county shows and many of the top hotels in London and other major cities – in fact, wherever entertainment is required. 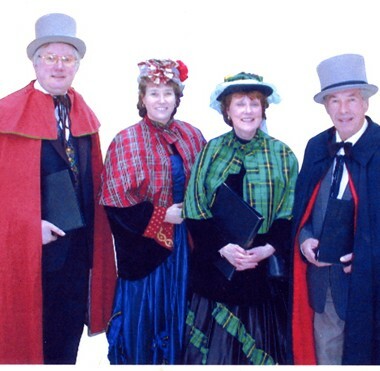 Original Blend Barbershop singers for hire can be versatile to the client’s individual requirements, such as writing and performing personalised songs for special occasions. They can add a festive atmosphere to a function by surprising dinner guests as singing waiters, or by ‘meeting and greeting’ guests on their arrival. The instrumental skills of the group include keyboard, clarinet, guitar and fiddle and give an added dimension to their programmes. Original Blend have appeared on TV in The Generation Game, QED and with Chris Evans in TFI Friday. Radio programmes include Round Midnight, Among Your Souvenirs, Friday Night is Music Night and live transmission from the National Theatre. “I wanted to drop a note to thank Original Blend so much for their outstanding performance at last Thursday’s garden party. The feedback from the clients has been really great and they’ve had some fab press coverage too.